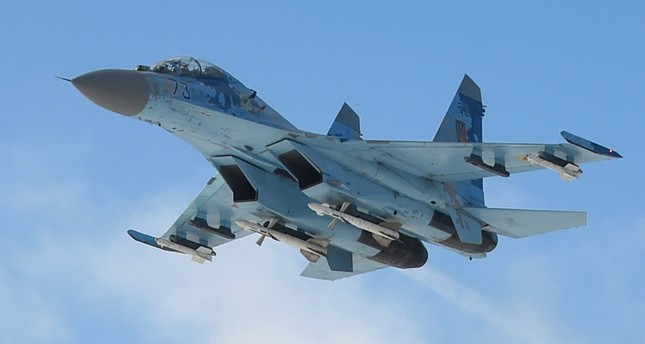 Ukrainian Sukhoi Su-27 fighter aircraft, which was on a training flight, crashed while attempting to land in northern Ukraine's Zhytomyr region, the General Staff of the Armed Forces of Ukraine announced Saturday. "On December 15, 2018, a Su-27 aircraft crashed during the scheduled flight in the Zhytomyr region. The pilot was killed," the General Staff said in a statement on Facebook. "The causes of the accident are being investigated," the statement said. Su-27 fighter jets were designed by the Soviet Union and continue to be built by Russia. Depending on the model, they carry either one or two pilots. It was not immediately clear what the model was in Saturday's crash. The incident is the second such incident in two months. On Oct.16 another Ukrainian Sukhoi-27 fighter jet crashed during large-scale Clear Sky 2018 exercises with NATO forces. The crash occurred in the Vinnytsia region, around 180 kilometers (110 miles) southwest of Kiev. A Ukrainian and an American pilot died in the accident. Explanations regarding the results of the investigation held for the accident are yet to be announced.